Ignoring the flagrant and numerous violations of federal law by Barack Obama and many among his administration, Senate Democrats are in a feeding frenzy, ready to pick Donald Trump clean to the bone like hungry piranha on a wounded animal. They demonstrate their blind hypocrisy and intolerance for anyone who does not share their liberal political views. Senate Democratic leaders agreed Wednesday to a bipartisan probe inside Congress of allegations that people linked to President Trump — including ousted national security adviser Michael Flynn — had frequent contacts with Russia during and after the 2016 presidential campaign. Democrats agreed to push forward with an ongoing Intelligence Committee investigation into Russia’s purported activities into the election, expanding the probe to include contacts made by Flynn and perhaps other Trump campaign officials with the Kremlin. They united around this course of action despite pressure from some Democrats to demand an independent commission to pursue the matter from outside Congress. 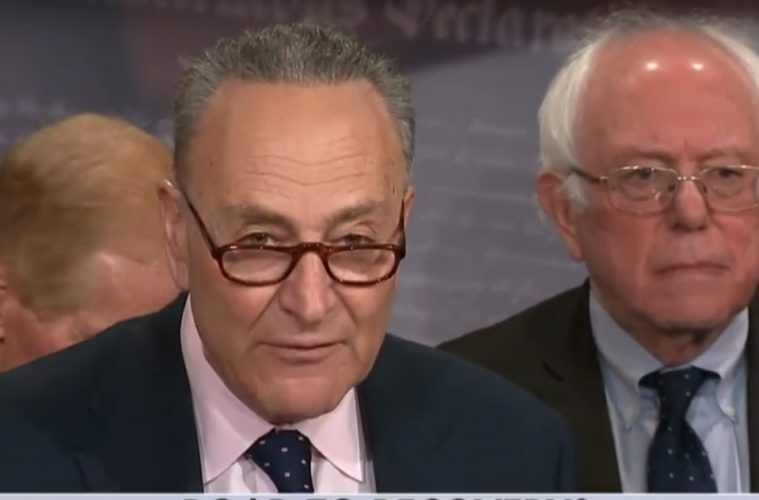 The decision was made at a Democratic conference meeting Wednesday morning hastily called by Senate Minority Leader Charles E. Schumer (N.Y.). Schumer aimed to get his colleagues on the same page following a fresh report from the New York Times that Trump campaign aides spoke frequently with Russian intelligence operatives during the campaign. Flynn resigned Monday night after The Washington Post revealed that he spoke about sanctions with Russia’s ambassador to the United States after the election.